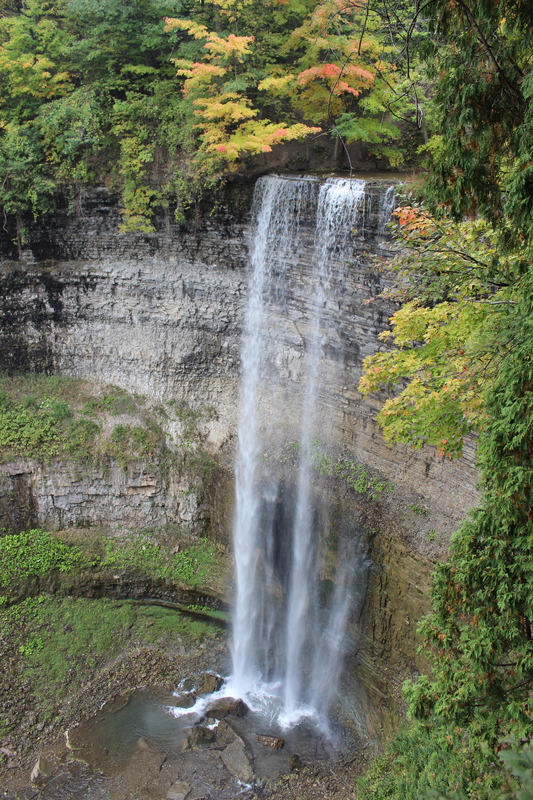 This fall was the perfect time to do a daytime adventure around Hamilton to discover it’s many amazing waterfalls. Yes, you did read that correctly, Hamilton! 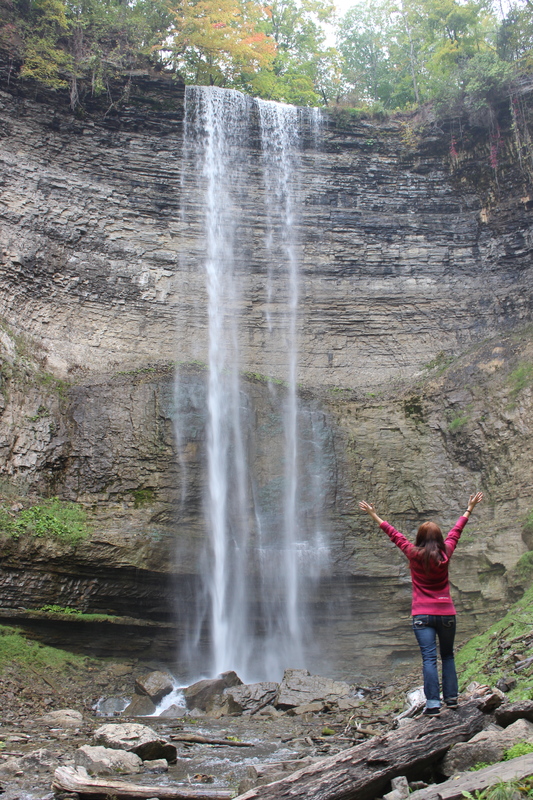 A large, bustling city in Ontario, it’s hard to believe that such a place could hold so many beautiful waterfalls, over 100 actually! 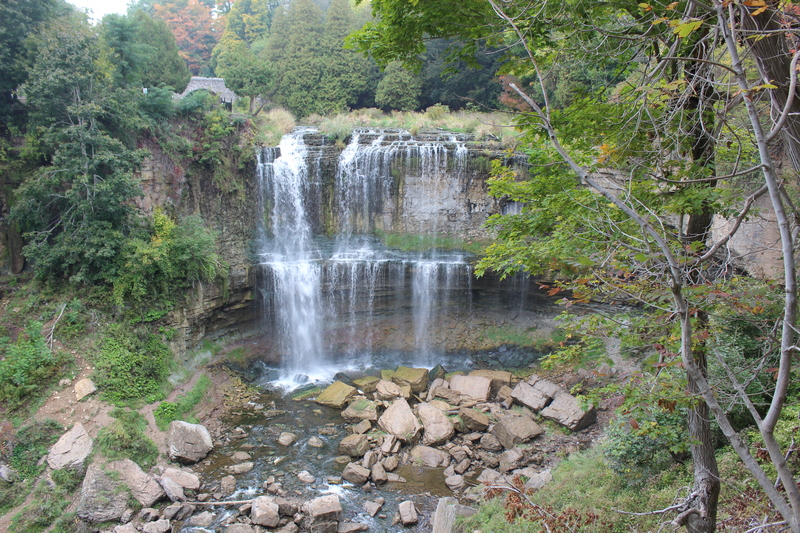 Our first stop was Webster’s Falls. Although you can no longer get down to the base of these falls (they’ve put up a fence blocking the stairs) there are alot of great vantage points from up above. 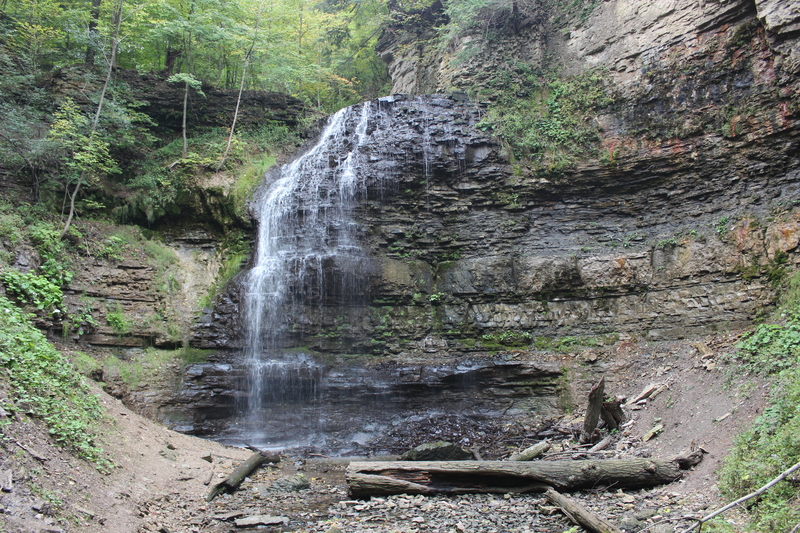 Our second stop was Tew’s Falls which is actually the tallest waterfall in Hamilton. Now technically there is no ‘legit’ way to get to the base of these falls. However, after hiking around to the other side we did find some ropes set up so that you can actually scale down the ginormous hill to reach the base (not recommended for those afraid of slipping, falling or rolling down steep hills, also if you don’t have fairly good upper body strength and stable footing you may plummet to your death). The third falls on our tour was Tiffany Falls. The fourth and final place we were able to make it to (we ran out of daylight!) 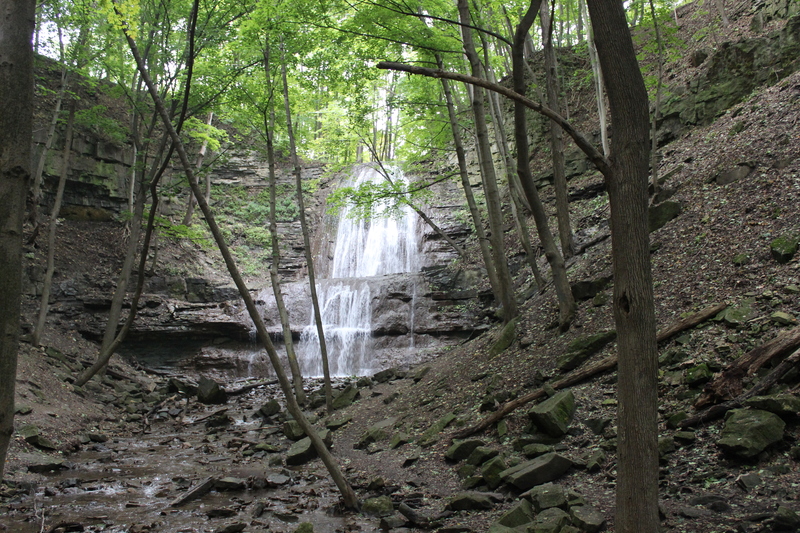 was Sherman falls. Which was actually located in someone’s backyard. Luckily the owner’s are nice enough to let other people come to enjoy it. One piece of advice for those heading down to check out the falls. Make sure you locate exactly where the falls are. Finding them on a GPS (using an address or co-ordinates) was tricky. The falls are located in the most random of places (yes, we got lost at least once, ok twice). Sometimes they are under a bridge of a busy street or located just off of a road. There isn’t always signage letting you know where they are. Unfortunately we only made it to 4 waterfalls this time around but gives a reason to go back and also add a few more to our list to check out the next time we are there!